By 2030, wind generation will account for one fifth of Finland's electricity production, predicts CEO Jari Suominen. He asserts that wind power will set the floor price against which other forms of electricity will be forced to compete. The site lies between Kokkola and Raahe in Northern Ostrobothnia. 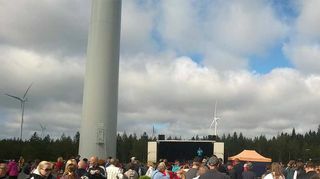 A project billed as Finland's biggest wind energy development was formally opened on Tuesday in Kalajoki. The Mustilankangas park includes 28 wind turbines in a 1500 hectare area. Its owner, TuuliWatti, estimates that it will generate enough electricity annually to power 140,000 flats or 20,000 detached houses. TuuliWatti is co-owned by the nation's largest retailer, S-Group, and St1, which operates a chain of petrol stations along with other energy interests. The park lies 30 km south of the site of the planned Fennovoima nuclear power plant in Pyhäjoki – a project that the S-Group pulled out of four years ago. TuuliWatti CEO Jari Suominen is bullish about the future of wind power in Finland. He predicts that by 2030 wind generation will rise from its current share of a few percent to 20 percent of the country's electricity production, alongside hydroelectric and biomass. Suominen argues that wind power will set the base price against which other forms of electricity production will have to compete. There is still however fierce opposition to erecting windmills in some parts of Finland and Suominen acknowledges that some municipalities have spurned his company's proposals. "We're developing and building our projects where municipalities, local residents and landowners want wind power. 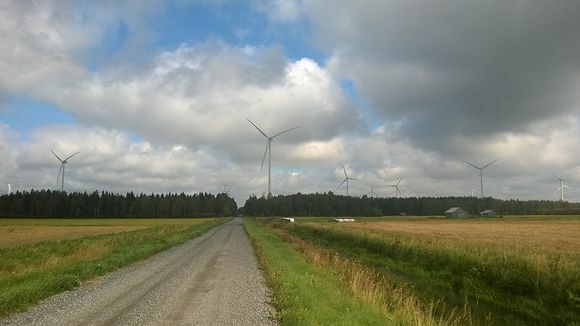 Kalajoki is a good example of a place that wanted wind power and now has it." "The 100 landowners in the Mustilankangas areas will earn about 400,000 euros annually in leases and fees. The municipality is gaining 150,000 euros in annual tax revenues," he says. "It is of course part of an old system that was a product of its time," he tells Yle. "There was an inherent flaw in that the tariff was fixed and didn't take into account the rapid technical developments. If this park was built around the turn of the millennium, we would have had to build 300 turbines rather than 28 [of the larger, new type]," he says.